While social networks are flying criticism and cynical comments about the completion of the World Youth Day (WYD) in Panama, the streets of the city have become the perfect setting for a great festival that is also meeting, dialogue and party among young people. The Catholicism of the 21st century and therefore the religious practice of this millennium, is exhibited in the city of Panama as a great showcase. This, however, does not attend to the sensitivities and principles of the separation between the church and the State, nor does it accord with the incoherent prudish and purulent religious pseudo-religion of the caste of politicians that governs Panama. 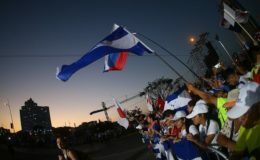 There is a dissonance between the values ​​of WYD and the political and institutional reality of Panama. 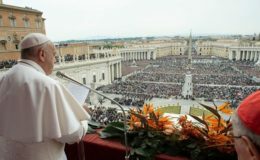 The Laudato if of Pope Francisco only serves as the name of the windmill park in Coclé. This is not fertile ground of environmentalism. 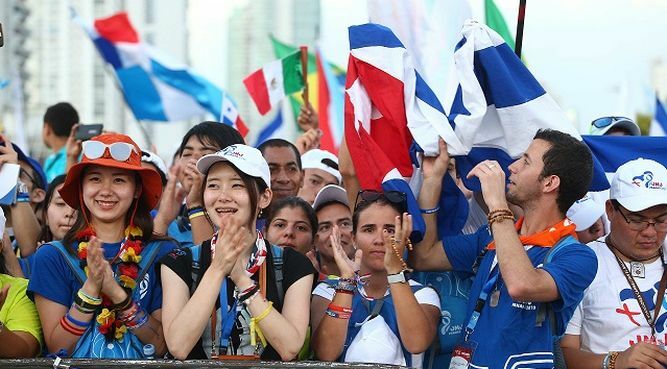 WYD has become a social vehicle to articulate something that the Panamanians had long ago lost: a bit of cultural identity, national pride, and why not say it, a much-needed injection of self-esteem. WYD has allowed Chiricans, colonists, santeños, veraguense, chepanos, monagrilleros, ocueños, coclesanos, joaquineños, and the variegated calidonia, among many, to show their happy and smiling faces. A synagogue and a mosque opened their doors to pilgrims. In this land where there is a beautiful Mormon temple (in Corozal), an Indian, in the Ricardo J. Alfaro, a Bahai prayer house on the summits, a Hare Krishna center, a Methodist cathedral on Omar Torrijos avenue, a park in honor of the Kwan Yin, are just some facets of the diamond of Panamanian spirituality. I imagine that the social networks will burst this affirmation and they will include sorcerers, healers, santeros, paleros and even the critters that read the letters or the zurrapa of the coffee. Organized religion is one thing, the search for spirituality is another thing, and quackery and ritualism are very different. Unfortunately in Panama, there is all that. WYD has put us to talk about religion, youth, as well as tourism, and even philosophical issues such as freedom of thought or the secular state. He has shown us that it is possible to have a party without guaro and bell, and he has returned the smile to the face of many Panamanians. Much needed us. To the grinch who fled to other countries or to their beach houses, they lost it. There is nothing more hopeful than young people living as young people and trying to save the world. Pity that it is not a permanent event, but at least we had the opportunity as a country to experience it. In the year 2022, we have to host the Central American and Caribbean Games, hopefully we will show the world the beautiful face that WYD took us. After a monumental weekend, PANAMA has much to be PROUD of. 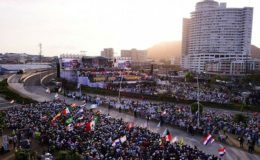 PANAMA: Anticipating World Youth day!